Until I started reading this book I thought that Galileo was the guy who dropped cannon balls down from the Tower of Pisa and ended up blind and in house arrest. That was the baseline. 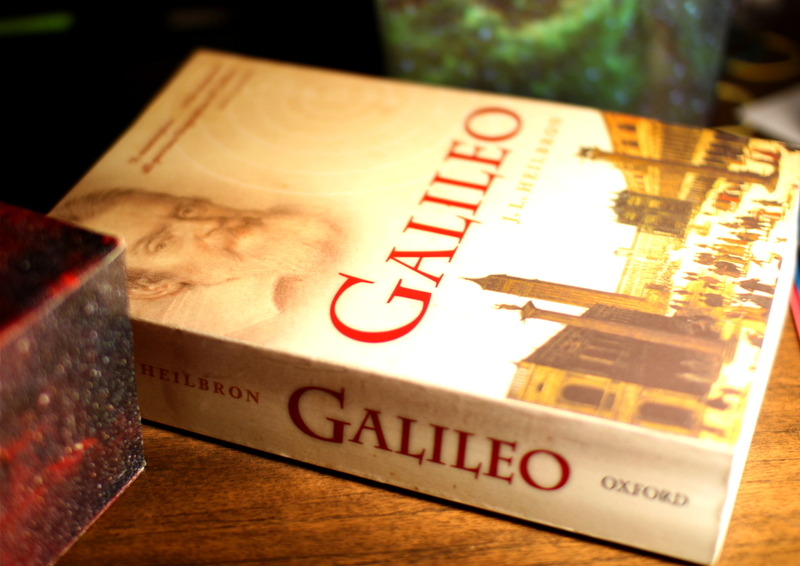 Now, having read Heilbron’s book, Galileo seems like an actual person who lived some 400 years ago. Yes, I knew he existed before, but reading ca 350 pages about someone occasionally makes them seem more real. Heilbron’s “Galileo” gives a very good overview of the kind of person Galileo was – apparently some-what arrogant and a bit too fond of wine, but a real scientist, not just a philosopher (I don’t have anything against philosophers, unless they’re electrically charged). Probably all books about the history of astronomy have Galileo in them, thus making it seem a little awkward how illuminating Heilbron’s book seemed to me, not because of finding out some important aspects of Galileo’s life, but rather for showing some of the reasons why the Copernican model of the Solar system didn’t take hold until a lot later in history. But also the way that Galileo himself wrote about astronomy and mechanics is rather amusing and witty and so is Heilbron’s writing.